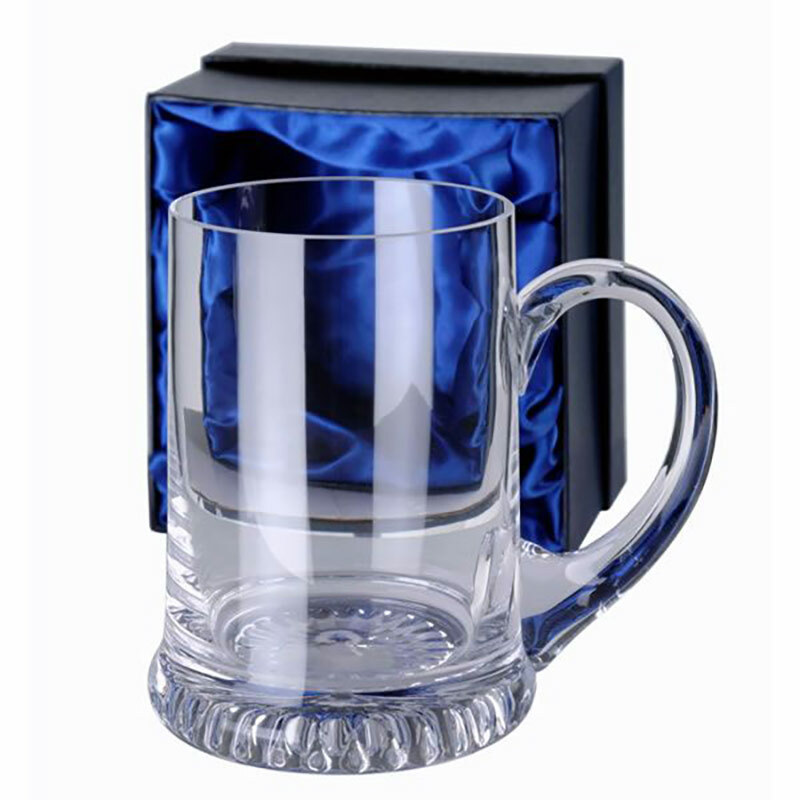 A clearly superior tankard! These quality crystal glass tankards have a clear (undecorated) body and a thick base with star-shaped decoration in the bottom. They have a distinctive, and easy-to-hold, curved handle and are supplied complete with a fully-lined presentation box. 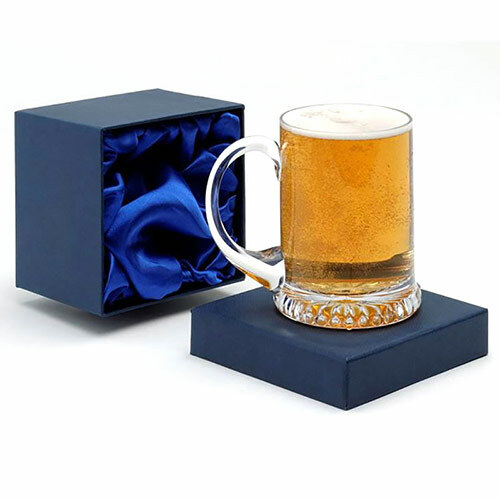 Ideal as branded corporate gifts or recognition awards items, these 1 pint beer tankards can be customised by laser engraving onto the body. They are offered here with free engraving of text and logos along with bulk order discounts (see price matrix, above) and low fixed cost UK delivery regardless of the size or weight of your order.